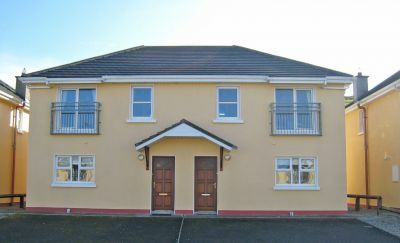 These lovely semi-detached holiday homes are situated just 5 minutes walk from Lahinch town centre and 15 minutes walk to the beautiful blue flag beach. These holiday cottages offer comfortable self-catering accommodation in one of Ireland’s best loved holiday areas. These are 3 bedroomed houses that sleep 6 with 1 double room and 2 twin rooms. Lahinch is famous for its beautiful blue flag beach, lively bars, restaurants, excellent links golf course. Located on the promenade overlooking the Atlantic Ocean is Lahinch Seaworld. It boasts one of Ireland’s largest indoor aquariums. Just opened a new gym and fitness centre, Gymworld. In addition a full sized swimming pool with Jacuzzi, Sauna, Tanning Room and other amenities. Included is kiddies play area, ‘Sammy sharks’, offers hours of endless fun for 2 to 10 year-olds and for the whole family there’s the cafe Sicillian providing delicious fresh food, tea, coffee and more. Lahinch is also an ideal base from which to visit the spectacular Cliffs of Moher, The Burren and The Aran Islands. Lahinch Seaworld – 25m indoor swimming pool, kiddies pool, sauna, jacuzzi, cafe, shop & aquarium.Open all year from 7am to 10pm. Aillwee Cave – The Burren Underworld – Open daily, from 10.00am to 5.30pm Mid – March to 4th November. 10. 00am to 6.30pm July and August. From Shannon: Take N18 to Ennis via Clarecastle, N85 to Inagh, N87 to Lahinch via Ennistymon. From Dublin: Take N7 to Limerick. In Limerick take the N18 to Ennis via Clarecastle, N85 to Inagh then N87 to Lahinch via Ennistymon. From Cork: N20 to Charleville, at Junction N21/R526 take 2nd slip road to join dual carriageway (signposted Limerick, Dublin), R509 to Limerick & follow signs to City Centre. In Limerick take the N18 to Ennis via Clarecastle, N85 to Inagh, then N87 to Lahinch via Ennistymon. Coming into Lahinch: go to the top of the town and take a left turn.The houses are approx 200 meters on the right hand side. The gps coordinates for Lios na Mara are : 52.9321548 (Latitude), -9.338954 (Longitude).